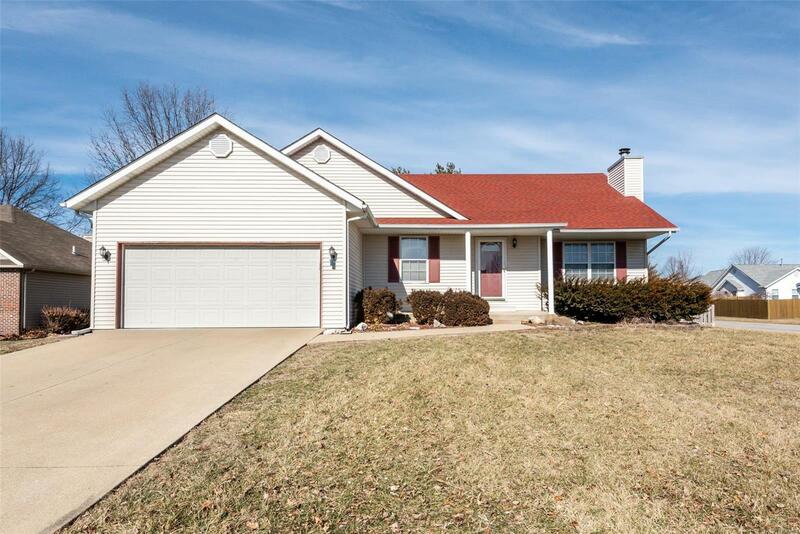 Must see 3 bedrm, 3 bath, 2900+ sq ft. home w/finished lower level! The main level offers fam rm w/vaulted ceiling, gas fireplace and access to large covered deck w/steps to fenced yard; dining rm w/wood flooring; kitchen/breakfast area w/solid surface counters, abundant cabinets, ceramic flooring; laundry; master suite w/tray ceiling & large walk-in closet, master bath w/shower, separate tub, double vanity, ceramic flooring; two guest rms; full guest bath w/ceramic flooring. The finished lower level provides additional large family/game rm; den, two bonus rms; exercise rm; 3/4 bath; plumb for future wet bar; 2nd laundry rm. Plus: HVAC 2018; newer water htr; radon mitigation system; 2 Car garage; storage shed in large fenced yard on corner lot. Quick access to I 64, shopping, Scott AFB.